"Geh Dicht Dichtig. Hörspieldialog mit Elfriede Gerstl"
In "GEH DICHT DICHTIG!" 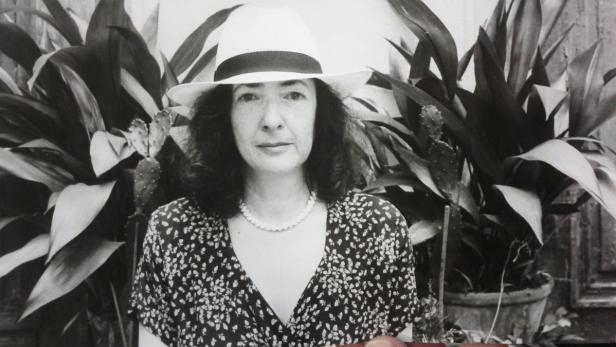 the Berlin-based author Ruth Johanna Benrath creates a fictional dialogue with the Viennese poet Elfriede Gerstl (16 June 1932 - 9 April 2009). Elfriede Gerstl wrote poems, essays, short Prosa pieces and "Denkkrümel", as she herself called some of her texts. She is an influential figure in Austrian literature after 1945. She came from a Jewish dentist family and survived persecution by the Nazis in hiding places in Vienna. After 1945, Gerstl studied medicine and psychology, discontinuing her studies, spending the 1960s in Berlin and returning to Vienna in 1968. In 1999 she received the Erich-Fried-Prize and the Georg Trakl-Prize, in 2004 the Ben-Witter-Prize and in 2007 the Heimrad-Bäcker-Prize. In 1980 Elfriede Gerstl, in her essay "Aus der Not ein Hörspiel machen, zur Not ein Hörspiel hören" ("To make a radio play out of necessity, to listen to a radio play in necessity"), considered the chance for Hörspiel in causing "thought-provoking impulses". This thought is taken up by "GEH DICHT DICHTIG! Hörspiel Dialog mit Elfriede Gerstl" by Ruth Johanna Benrath. On the occasion of the 10th anniversary of Elfriede Gerstl's death, Benrath responds to Gerstl's "Denkkrümel" with her own texts. The acoustic implementation reproduces the course of this dialogue: it is first the voice of the author Ruth Johanna Benrath (performed by Dörte Lyssewski), who applies to Elfriede Gerstl with a literary text. Gerstl's voice (performed by Gerti Drassl) reacts by waiting, doesn't know if she wants to get involved with the game. Lauren Newton's sound spheres and language interludes carry this dialogue between two authors who have never met in real life but who penetrate each other deeply on a linguistic level. Ö1 Tonspuren: Elfriede Gerstl. Erinnerungen an eine streitbare Dichterin.